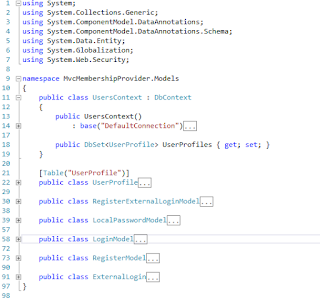 Here we will learn how to use membership provider in asp.net mvc, and how to create users, and their roles using asp.net mvc membership, with this we will also learn how to assign roles to users in asp.net mvc membership provider, and how remove users from roles, after getting all roles users from asp.net mvc membership and we will implement security in asp.net mvc applications with examples. 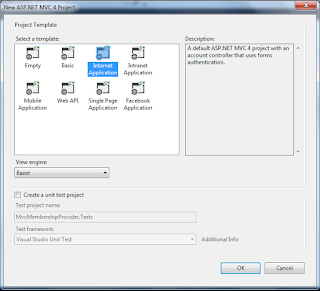 Let’s create a application for membership provider asp.net mvc. 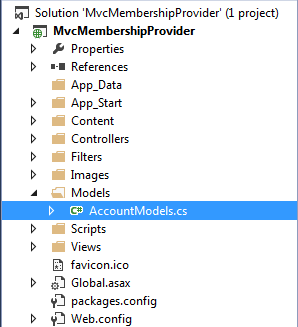 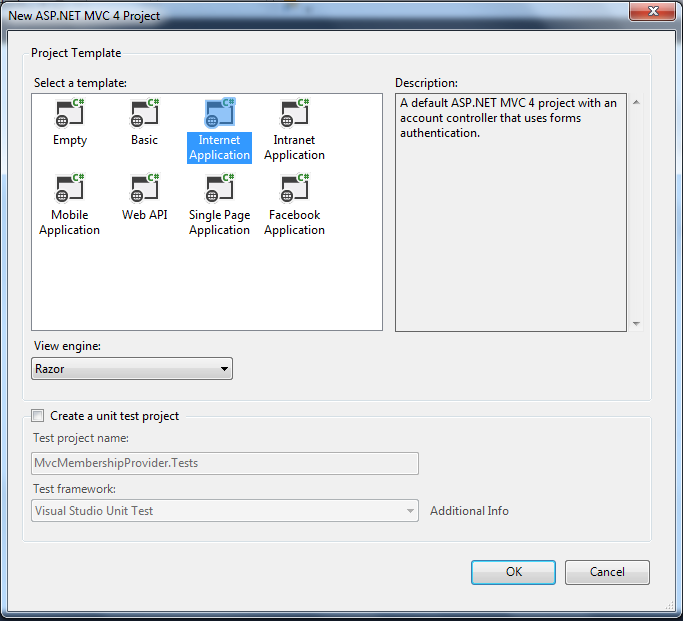 Step (1) : Go to visual studio and click on new project -> a window will open from here select a 'Asp.net MVC4 web application' and give the name for this project in my case I give it as “MvcMembershipProvider “. 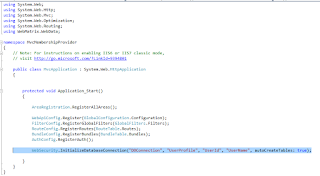 if you are creating new connection string then existinf connection string in ewb config file we have remove with we have remove a following line of code from the "InitializeSimpleMembershipAttribute.cs" which available in filter folder. 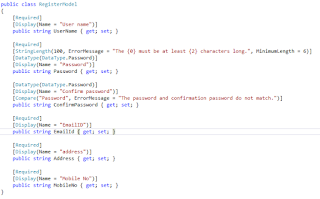 because it give double connection existing run time error. 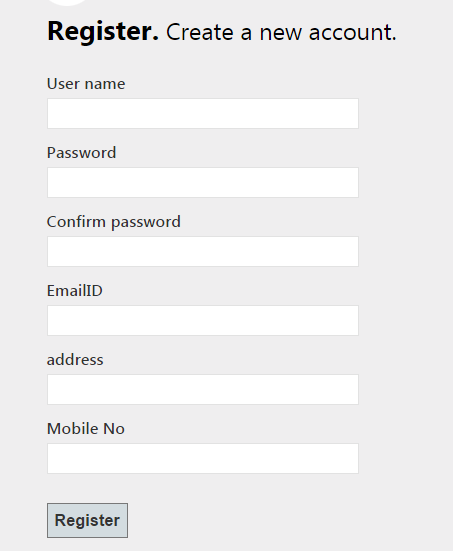 When you will click on registration link following screen will open with 3 field . 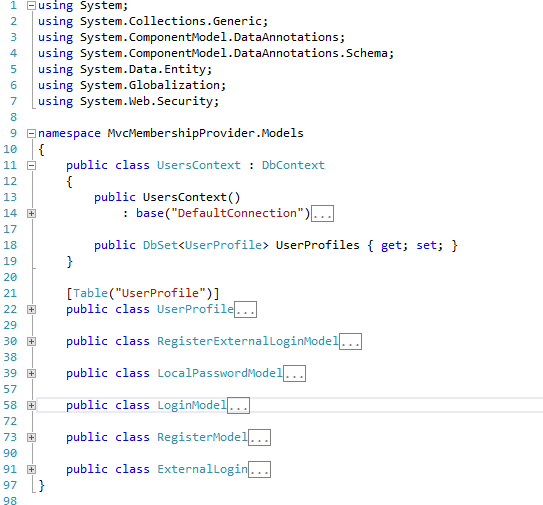 Here we added 3 column as shown above now we need to add these column parameters in registration model ,it is in Account.cs class which is available in Model. 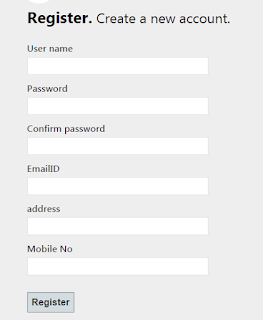 Now if you will run your application and you will see registration page it will look with new fields. 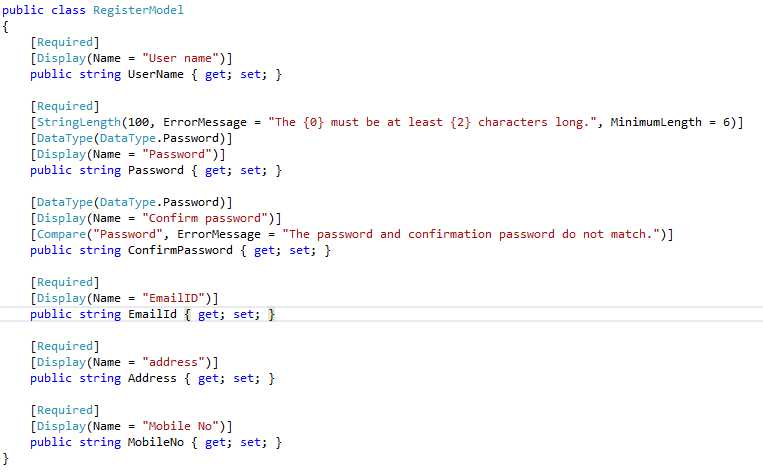 Now according to this we need to add or handle these field in controller also so for that go to Account Controller and we have to make changes in HTTPPost method of registration Action. 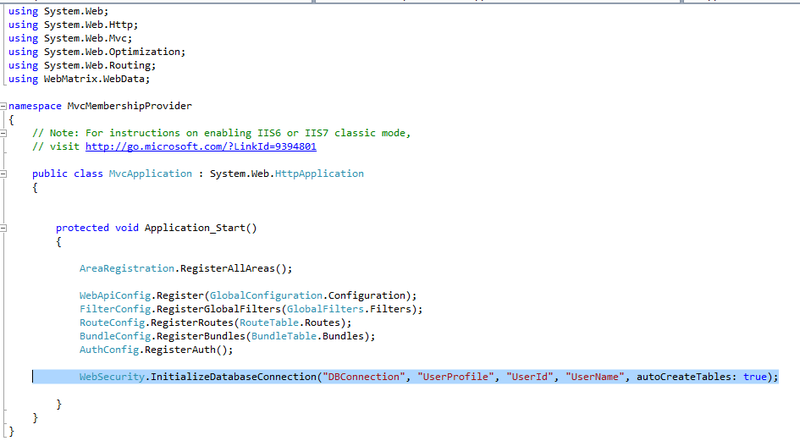 Now run your application and go to registration page and enter some data to fields then save it ,data will save in database.